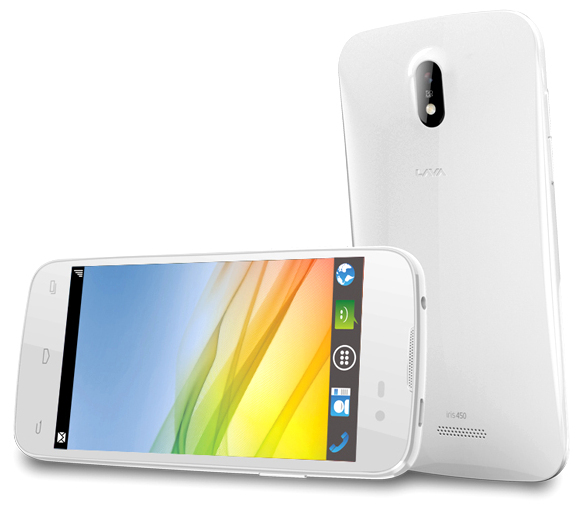 Lava Iris 450 Colour the latest smartphone from the company has been officially launched. The new Lava Iris 450 Color is priced at RS 7999 and comes with six colorful back panels. It has 1.3GHz dual core CPU paired with 512MB of RAM which is quite low. It would compete with Micromax Canvas Juice A77, Xolo A510s and iBall Andi 4.5P Glitter. The features are quite standard, only replaceable back panel would be attractive. The Iris 450 has 4.5 inch 854 x 480 pixels display and Android 4.2 OS. It supports DUAL SIM with DUAL Standby. It packs with 5-megapixel primary camera with flash and VGA front camera. It is 10.5 mm thick and weighs 136 grams. The Lava 450 Color has 4 gigs of internal storage and 32 gigs of internal storage. The company has also launched the Lava Iris 406Q. The new Iris 405 is available in Blue, Brown, Pink, White, red, green and Black colors.